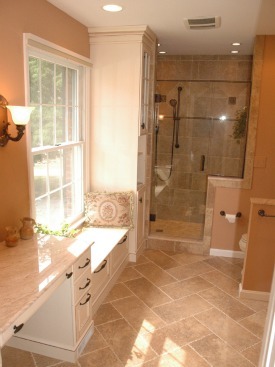 If you’re thinking about remodeling a bathroom, what are the things that are motivating you? 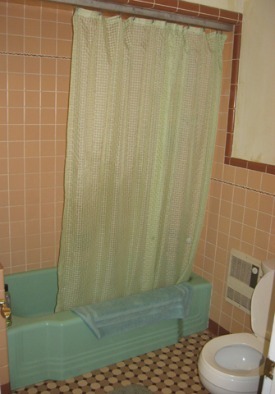 Could it be that you dislike cleaning a shower stall with sliding doors that sometimes get stuck on the tracks? Have you experienced mold on the ceilings and walls due to inadequate ventilation? Have you grown weary of the tile and flickering of fluorescent lights? Do you find the general layout of the room dysfunctional and perhaps even unsafe for users? 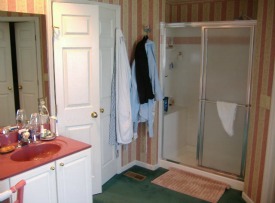 Bathrooms require installation and placement of multiple fixtures - toilet, sinks, shower, tub, bidet, towel warming racks. There should be space in the room for storage of towels, medicines, cosmetics and grooming appliances. Floors and walls require waterproof surfaces such as tile or surrounds and sealing. Tile layout and placement must be carefully planned and measured. There must be adequate ventilation and lighting. 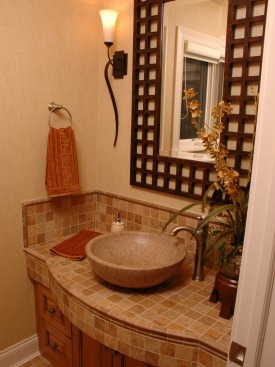 Small details such as selecting hardware, placement of towel or grab bars, mirror height, lighting and choosing shower stall accessories require special attention. There are also aesthetic issues to address in the design, which include pattern and layout of wall and floor tile, optimizing a small space, form and style of fixtures, lighting, cabinet selection and trim. 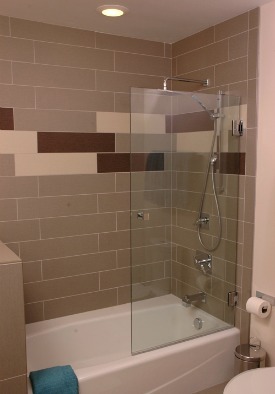 Structural issues such as allocation of space for a privy, the width of the entrance to the room, placement of windows and design options for the shower should be considered in the design. 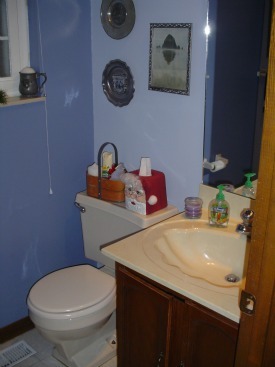 A poorly designed bathroom will not meet your needs or add value to your home. To get the best result and return on your investment, it pays to consult a professional bath designer. If you work with a design/build firm, like Neal’s, the cost of working with a design professional is included in the total cost of the project. We offer a complimentary in-home initial consultation to look at the space and help you get started with planning the project. 1. A design professional will want to hear your ideas. A designer always wants to create a design that meets a client’s needs and aspirations. At Neal’s, our Design Team has more than 125 years of combined experience and has worked with hundreds of Cincinnati homeowners to design projects you will see on our website. The designer is interested in your objectives and communicating with you throughout the design process to address both major and minor details of the project. 2. Be prepared to discuss some of the details you want to address in the design before a plan is drawn. 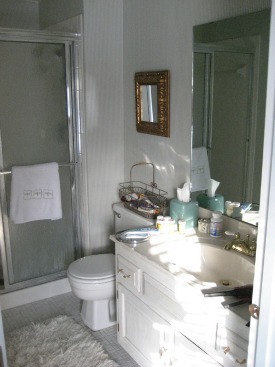 Make a written checklist of major and minor problems you have with your current bathroom. Collect ideas and information to share with your designer. 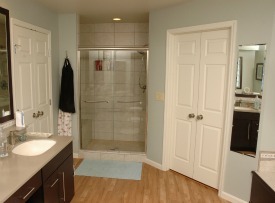 To help you prepare a written checklist we have created a free “Homeowner’s Guide to Bathroom Remodeling: How to Set Priorities for Your Bathroom Remodel” The Guide includes a set of questions about your project to help you plan for that meeting with a designer and a checklist of items you may want to include in the design. Understanding your priorities is essential to creating drawings and estimating the cost of the project. Research our website, including our Bathroom Remodeling Gallery and our photo gallery of 1000 Design Ideas for Your Home that features “before” and “after” photos of projects we’ve built for local homeowners. Read bath design magazines and books. Read our article “Our Favorite Resources for Bathroom Design Ideas”. Read our article “Our Picks for the Best Bathroom Design Ideas”. 3. Be prepared to discuss your budget expectations. It’s important that your project consultant and designer know what you intend to budget for the project from the onset. 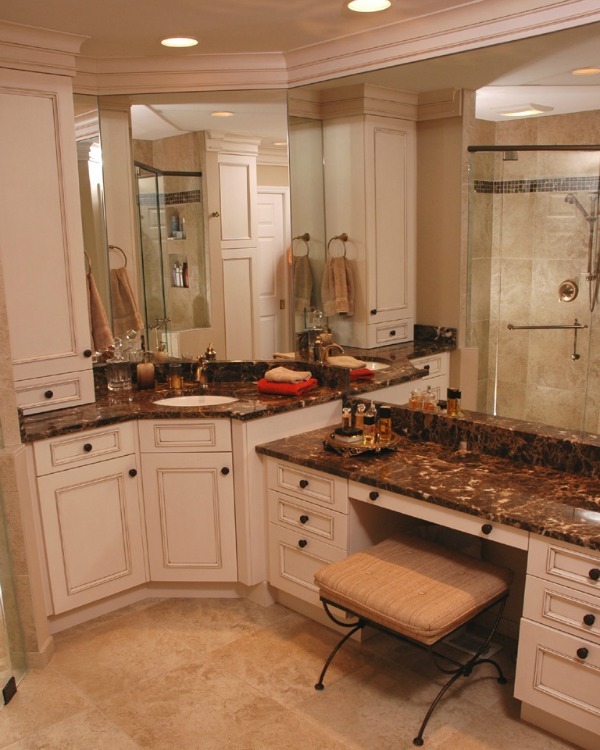 Bathroom design professionals are knowledgeable about product lines and product performance. They can help you save money by recommending products that are best suited for your project and remain within your budget.